There are two types of cemeteries in our region: Those owned, operated and maintained by private not-for-profit charitable organizations, and those owned and operated by large, out of state for-profit corporations. When choosing a cemetery, keep in mind that the smaller, not-for-profit cemetery frequently has lower fees for grave space, and opening and closing charges. Below you will find a list of those cemeteries frequently used by our client families. In the near future, we will be adding to this page the estimated burial costs at each cemetery listed below. Sarasota National Cemetery - Owned and operated by the United States Veteran's Administration. This cemetery is open only to US military veterans and their spouses. 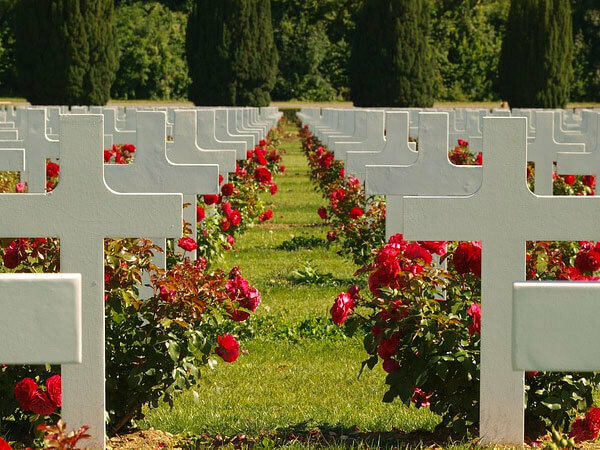 All burial, entombment, inurnment and memorialization costs are covered by the Veterans' Administration. Please see our "For Veteran" page for complete information on Veteran Benefits. Fogartyville Cemetery - Owned and Operated by the Fogartyville Cemetery Association, a Florida not-for-profit organization. Gillette Cemetery - Owned and Operated by the Gillette Cemetery Association, a Florida not-for-profit organization. Palma Sola Community Church Cemetery - Owned and operated by Palma Sola Community Church, which is adjacent to the cemetery. Bethany Cemetery - Owned and Operated by Bethany Baptist Church, which is adjacent to the cemetery. Mansion Memorial Park - Owned and operated by Service Corporation International, a Houston, Texas based for-profit corporation. Manasota Memorial Park - Owned and operated by Service Corporation International, a Houston, Texas based for-profit corporation. Palms Memorial Park - Owned and operated by Service Corporation International, a Houston, Texas based for-profit corporation. Skyway Memorial Gardens - Owned and operated by Northstar Memorial Group, a Houston, Texas based for-profit corporation.